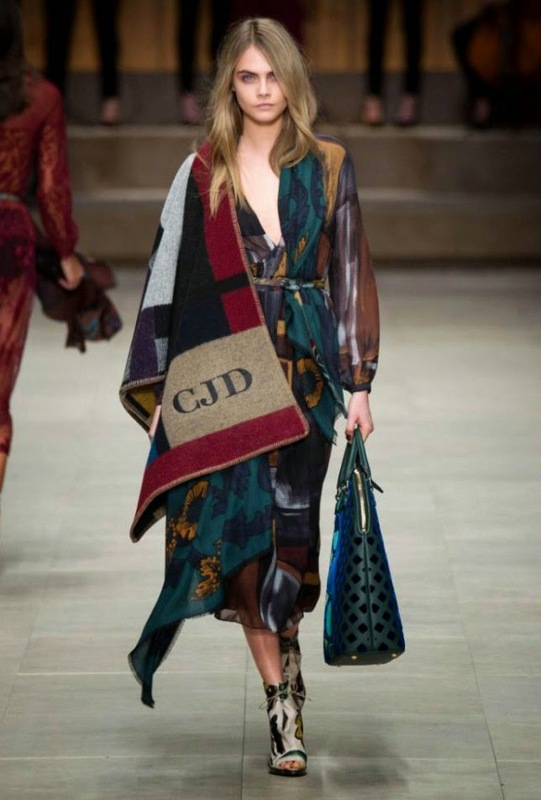 I've been seeing celebrities sporting this Burberry personalized blanket poncho lately and I am obsessed. After Cara Delevingne was seeing wearing it on the AW14 Runway last season, it became a coveted piece among celebrities and models. With fall officially here and the temperatures dropping, I just want to wrap myself up in a poncho. This one is unfortunately sold out, so I am now on the quest of finding the perfect alternative to add to my fall wardrobe.